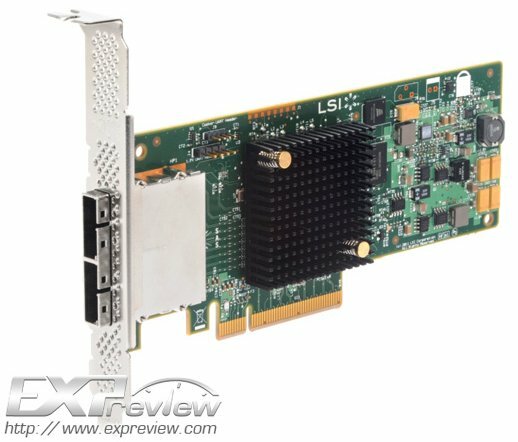 TechPowerUp writes LSI demonstrated a 12Gbps SAS add-on card that uses the PCI Express 3.0 x8 interface. The device supports up to 44 SAS or SATA devices, and supports up to 2048 SAS addresses. By making use of the 12 Gb/s SAS Expander solution paired with 32 current-generation Seagate Savvio 15.3K RPM hard drives, LSI claims 58% increase in IOPS compared to a 6 Gb/s host controller, because of better bandwidth aggregation per drive. There's also a 68% increase in bandwidth yield. The array of 32 hard drives could dole out 3106.84 MB/s on IOMeter, and more significantly, over 1.01 million IOPS. As big as this number seems, it could be an IOMeter bug, because the numbers don't add up. Perhaps it's measuring IOPS from disk caches.